Mark Sales graduated with a Juris Doctor degree from Franklin Pierce Law Center in Concord, New Hampshire in 1991. He has been a member of the Rhode Island Bar Association since 1992 to the present. In June of 1999, Mark Sales was awarded the Rhode Island Bar Association Volunteer Lawyer Program Pro Bono Award for representing clients before the Rhode Island Family Court. At the age of 34, Mark Sales became one of the youngest Municipal Court Judges when he was appointed as the Chief Justice of the Bristol Municipal Court. He served as the Chief Judge for over eight (8) years. Mark Sales presided over a court calendar which involved multiple motor vehicle violations, waterways violations, and ordinance violations. During his tenure as the Chief Justice, the Bristol Municipal Court was operated efficiently and every litigant received a full and fair hearing. In January of 2017, Mark decided to open his own law firm in North Providence, Rhode Island with the help of his wife, Colleen, who assists him in the office. “All clients are welcome to come see us to resolve their legal issues. Our firm is family-owned and operated.” The firm provides its clients with a “child friendly” environment. Mark Sales has been a member of the Rhode Island Bar Association since 1992 to the present. 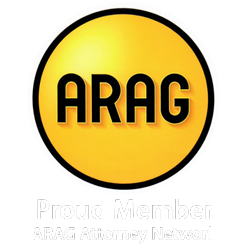 In June of 1999, he was awarded the Rhode Island Bar Association Volunteer Lawyer Program Pro Bono Publico Award for representing clients before the Rhode Island Family Court that year. Since the start of his twenty-five (25) year career, Mark Sales has been representing clients before various state courts and administrative agencies. Conservatively, Mark Sales has tried over 240 cases involving various legal issues such as breach of contracts, numerous Family Law matters, Probate cases, Wills and Trusts, Landlord/Tenant, Criminal Misdemeanors, Personal Injury, Civil Actions, Employment Law, and Corporations. When it comes to appearing in court and handling trials, Mark Sales prepares his clients about what to expect and to feel comfortable testifying before the court. He personally drafts all of the clients’ pleadings/paperwork that is filed with the court. Prior to trial, Mark drafts and argues any motions that are to be heard and decided by the court regarding specific legal issues in the client’s case. Mark Sales is the only attorney who will litigate the client’s case and is solely responsible for negotiating a settlement of the client’s case. From 9:00 AM until 8:00 PM to serve its clients’ needs. Mark Sales is the only attorney who will litigate the client’s case and is solely responsible for negotiating a settlement of the client’s case. For more information please give Mark Sales Law Office a call today!